1) Check Best Buy Gift Card Balance By Phone, 1-888-716-7994. 2) Check Best Buy Gift Card Balance Online, Click Here. 3) Check Best Buy Gift Card Balance At Any Best Buy Location. Now that you have found the balance on your gift card you need to decide whether you will use the card to purchase some electronics or turn the gift card into cash and use it for something else. Lots of gift cards end up going unused every year, some are lost, stolen or expire but most commonly gift cards end up being kept in desk drawer gathering dust for years. Many times the reason people don’t use gift cards is that they just don’t want or need anything from the retailer. Now you can sell your unwanted gift cards and use the cash on anything you want. If you decide to sell your Best Buy gift card then Giftah.com will help you turn your gift card into cash. Simply fill out our form, send in the card and you will receive payment within 24hrs of the gift card being verified. Its a simple way to get fast cash for your unwanted gift cards. If you do decided to use your gift card be sure to check Giftah.com for their current discount electronics gift card listings. You can pick up a discount Best Buy gift card that can be applied to anything you purchase at the store. Shopping at Best Buy with a discount gift card is like having your own personal sale in your pocket. You can apply your discount to any item at any time. No matter what you do with your gift card Giftah.com will help you put more money in your pocket. If you have a Lululemon gift card and you are not sure what the balance is you have come to the right place. There are two ways you can check the balance of your Lululemon gift card, both online and in stores. 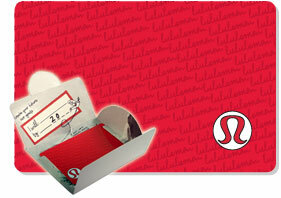 You can also get cash for your Lululemon gift card by selling it to Giftah. Giftah gives you cash for your unwanted gift cards, freeing up cash to spend on anything you want. If you do decide to use your Lululemon gift card to buy some new clothing be sure to check out Giftah’s gift card listings, you may be able to find a discounted Lululemon gift card that will help save you money on your next purchase. 1) Check Lululemon gift card balance at any LuLulemon store. 2) Check Lululemon gift card balance online by clicking here, then select your county and enter your gift cards serial number. 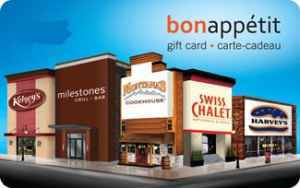 Giftah.com will pay cash for gift cards from any major retailer or chain in North America. Don’t let those old gift cards sit in a drawer gather dust, free up some extra cash by selling your unwanted gift cards today!